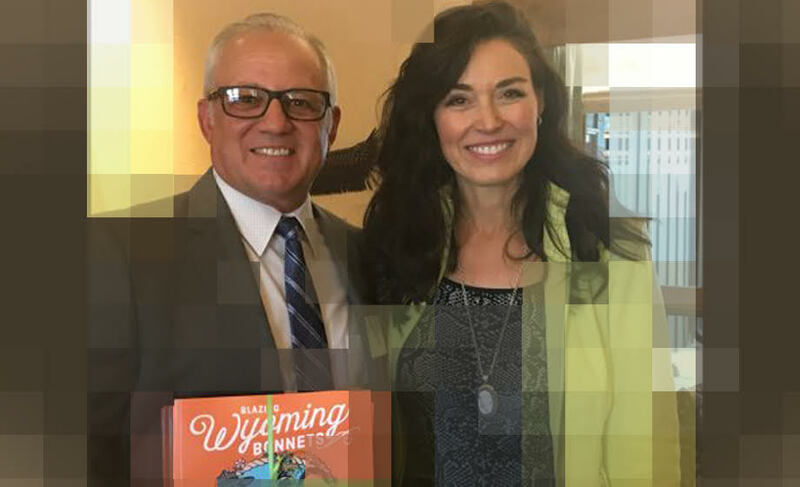 At every level, Ciner is dedicated to the growth of our communities and we are proud to support First Lady Carol Mead’s second children’s book, Blazing Wyoming Bonnets. In an effort to continue to shape the young minds of tomorrow, Mead’s work focuses on the trailblazing efforts of Wyoming’s most historical women. SweetwaterNOW reports, “First Lady Carol Mead honored Ciner and other corporate sponsors yesterday for supporting the publication of her second children’s book, Blazing Wyoming Bonnets. “Ciner believes childhood literacy and education are crucial to the future of Wyoming,” said Ciner Wyoming Site Manager, Craig Rood. “We hope that putting this new book in the hands of Wyoming’s children will encourage them to read at home and learn more about the trail-blazing women of our great state,” he added. Mrs. Mead wrote Blazing Wyoming Bonnets, co-authored and illustrated by Centennial artist, Melanie O’Hara, to celebrate some of the trailblazing women in Wyoming’s history. The book features 25 women with ties to Wyoming, from its territory days to the present. Full-color illustrations, rhyming poetry and brief biographical sketches bring to life the contributions of these women to our state and its history. “I am grateful for the generosity of our corporate partners, which makes it possible to share this book with fourth graders in every Wyoming county,” said Mrs. Mead.